After a discussion with one of the great names in the pipe smoking world I have decided to remove MacBaren HH Vintage Syrian from the tobacco list. There were rumours before that MacBaren was mixing amounts of Cyprian latakia with the Syrian dark leaf. I already had suspicions some time ago but choose to believe the MacBaren folks and ignore my taste buds. The “great name” with much better taste buds confirmed my old suspicions. There is a difference in taste between the old tins I have and new ones. Further I have deleted all tobaccos claiming to have Syrian latakia from my list. McClelland had the last real Syrian dark leaf and they have run out of it recently. All other companies who say they still have some stock are lying in my opinion or they have some left-over shreds that they put in the blends to stay within the boundaries of laws. Taste-wise you are not going to notice it. Blends simply sell better with the Syrian latakia label on them. So in short, the Syrian dark leaf is totally gone now. Don’t let anyone or anything fool you and oh, tobacco companies, be honest to your customers. We knew this was going to happen. I've got enough for my purposes, both HH Vintage Syrian and pure Syrian blending tobaccos. From a practical standpoint, I'm not sure how much this really matters as a great many popular English and Balkan blends use Cyprian Latakia. Sure, we knew, but we were not expecting this to happen that fast. Although I couldn't afford to cellar, I am glad that I had a chance to try some Syrian Latakia. We have been told that the companies which had Syrian will run out of it in (approximately) 2020. It is 2017 and nothing left. I think it is also good news which means sales have increased during the recent years. So I should start putting my HH Syrian on ebay for $600.00 a tin??????? But on a more serious note: Any conjecture when MacBaren started to dilute their Syrian with Cyprian (if they did indeed do that) ? I think it is also good news which means sales have increased during the recent years. from January 2016 to December 2016, the sale in pounds of tobacco rose more than 1,000 percent, increasing tsunami-like from 2.8 million pounds to 36.8 million pounds. There is a Turkish anecdote, I will try my best to interpret it. Once upon a time there was a guy in Istanbul who rode people in his boat to earn money. There was a legend that any lady that took his boat slept with him. One day a decent lady says that she will take the boat but won't sleep with him. So she gets on board and the guy starts paddling. While paddling the guy starts saying "they will say, they will say ..." After 10 minutes lady can't take it anymore and asks "What will they say? ", the guy responds "Even if you don't sleep with me, they will say you did". Just because he had this reputation. The thing is even if an X company hadn't mixed Syrian with Cyprian, people would say that they have. I guess nobody will have an exact answer except few from the company. This rumour might also be a result of a snowball effect. Once my brother went to Georgia (country) with his friends. Georgia is known to have really good wines. They all sat together and started to drink wine in a restaurant. After ordering the 5th pitcher, my brother (who knows nothing about wine tasting) claimed that the last one was a different wine. After his comment every single guy said the same thing and complained about it to the place owner. After a long discussion place owner took them all to their wine cellar and showed that they only had one type of wine in every barrel. Thanks for the info R. There are many smokers who cellar for sure, however there are lots of fresh blood joining to the club every day as well. Love those two stories, jvnshr. I actually collect stories like those. Oh, and great work on the Syrian. Luckily for me, my palate prefers the Cyprian, if it can tolerate any latakia at all. But... I might be easily swayed if someone wanted to send me samples to "persuade me," Ha ha. We all knew it was gonna happen. I will cherish what I have, and enjoy the Cyprian lat blends as well. I love me a good parable. Good one, I'll have to remember that. Doom and gloom guys. I bet once that war is over in Syria, they start making it again at some point. Meantime, I'm pretty sure I have some stashed. @toobfreak, maybe...but I've heard that the dwindling production of latakia in Syria wasn't a byproduct of the civil war. No idea when exactly. I already had some suspicions a couple of years ago, but of the course the folks at MacBaren denied it. Who am I supposed to believe? I don't trust my own taste-buds too much when it comes to Syrian latakia. Luckily one of the great names of the pipe smoking world with a reputation for honesty fully confirmed my doubts. Luckily one of the great names of the pipe smoking world with a reputation for honesty fully confirmed my doubts. With all this anonymity, there is no substance to the claim. It's not a particularly new claim, I'd been hearing rumors for the past several years that Syrian content was being diluted. But they're all rumors, so essentially not facts and not real. When this "great name" comes forward with hard evidence there will something real. This is akin to the wine story that jvnshr related earlier in this thread. Agreed. It is all hearsay to me. Seems like even if it were being 'diluted' with Cyprian, HH Vintage probably still has more Syrian in it than any other available blend. I do think both Cyprian and Syrian are good, but I will miss the unique character of the Syrian when it is truly gone. I think Bohemian Scandal is the best Balkan blend I have ever tried. I would definitely trade some Penzance for some to cellar if it hadn't peaked long ago. Taste-wise you are not going to notice it. Has nothing to do with the war, it comes down to the wood used isn't available, plus now the new generation of tobacco makers don't know the proper technique, so it's basically a lost art. Wow, thanks for the compliments, glad you guys enjoyed those stories. This is particularly frustrating. I can't reveal from who I got the information because it would compromise his situation, his life. So he can't come forward with hard evidence. Believe what you will and if you don't believe me pull open a tin of 3 Oaks Syrian and a recent one of HH vintage Syrian or any German made blends that claims to have Syrian latakia and compare them. Look at it this way. Sure, I know the wood situation. But wood grows back. Once things calm down over there, people will be looking for economic growth. You don't think there is a market for Syrian Latakia anymore? So you say the market is smaller. Even better! Easier to fulfill! Now its a lost art. Nah, some few still know how to do it, it's not like they haven't done it in a hundred years. And they will be looking for a way to make money. But I have no doubt there is some truth to what arno is telling us. Point being that let us say that Cyprus Latakia had been invented first and we were now fretting its discontinuation and loss, then the Syrians came along with theirs to replace it! The way I look at it is never fret too much over a discontinued blend (like Dunhill) or Syr. Latakia too much because more than likely, something will come along to fill the void, and you never know, it might be even better! There are infinite possibilities in tobacco. Look at all of the "lost blends" of yesteryear, all the old tins you guys show pictures of. Now go pick up a catalog from Smoking Pipes or P&C filled with thousands of great new choices. Tobacco ain't going anywhere, but the market evolves. It can only support so much. Some old blends must go by the wayside to make room for the new. I never fret what has been but look forward to what will be! The question is what is the cutting time HH Vintage Syrian had no more Syrian, 2017,2016,2015 or when? Well, it still has some Syrian, but it is mixed with Cyprian to such an extent that the taste is compromised. I think it build up gradually through the years. I once did a 3 Oaks Syrian - HH Vintage Syrian comparison on my blog and that Vintage Syrian tin came from 2011. It could be that some other (German) blends also still have some shreds of Syrian in them but in all cases that is so little that you won't notice it taste-wise. I am far from an expert, but if the allegation that is being made is true, it would seem that MacBarens and Sutliff are in violation of the Lanham Act. There are likely similar laws in the EU. This thread is spreading a serious allegation against two companies that are, as far as I know, reputable. The question is, whether HH Vintage Syrian has been "cut" at all. Unsubstantiated claims are simply that, unsubstantiated claims. Personally, I don't really care, as my stocks are all 5-6 years old. And I quite like the taste of Latakia that has aged. That said, I'm not a fan of rumors. They're popular with people, but rumors aren't facts. [The question is what is the cutting time HH Vintage Syrian had no more Syrian, 2017,2016,2015 or when? I absolutely agree rumors are not facts and this is the point I am trying to make. We are hearing some clear cuts sentences but when trying to get any specific out of them they stay all vague and no specific come out. Everything is possible but it should not sold for sure something vague. This thread started out in language that conveyed a factual derogatory assertion, not an opinion such as "I can't taste the claimed ingredient in the blend.". It has continued in that vein. Disturbing. Food for thought, I have experienced on a couple of occasions where examples of blends that are accepted to be 'Syrian Latakia only' have come across as tasting like a Cyp/Syr blend, or where the Syrian flavor was being affected a bit. My '14 tin of Syrian Star got this way I think due to me checking the tin note too much, and my tin of '15 3 Oaks Syrian seemed a little different than earlier or later years, I think due to the VAs being a little different/younger that year, or something along those lines. Smoking some '16 Syrian Star and some '14 and '16 3 Oaks Syrian restored my faith that these blends contain Syrian only, and other things must have affected the Syrian Taste in the other jars/tins. I'm under the impression that any Syrian leaf left, or used in the last handful of years, wasn't harvested recently. The stuff lost to fire in 2004 was discovered in a warehouse somewhere prior to that. Mac Barens syrian could have been sitting around for decades for all I know, gradually fading as Latakia tends to do. I believe that's a big part of the reason that Syrian in Vintage Syrian tastes muted or cut. There hasn't been a crop in well over a decade. All stocks date from then. The 2004 warehouse fire you're referring to destroyed Greg Pease's supply of premium Syrain Latakia. It did not destroy the industry's supply. Probably more than a decade, but under ideal conditions, Latakia's lifespan can be prolonged. Personally, I like the flavor of Latakias that have faded somewhat. I cannot comment about pre 2014 HH Vintage Syrian but yes, they taste different from 3 Oaks Syrian but they are also a different blend and notably they have Kentucky which 3 Oaks does not have. I don't know if the Kentucky can explain the sharper taste of the HH Vintage. So, the real question of this thread seems to be ... how do I get a job as a shuttle boat captain in Turkey? No way?!?! Trusting some people's palates has a camp?!! Still an assertion, not a fact. I know a lot of people with well developed palates and they will disagree about aspects of what they have tasted. In this instance my question would be, based on the above quote, has anyone caught Per Jensen lying about his product. Because, that's what is being suggested here. @jfvnshr I never said I was offended. I found this thread disturbing for the reason stated. I have tried HH Syrian Latakia, and it is OK, but it is not even close to the top of my reorder list. I made a moderator aware of my concerns days ago. Some of the posts in this thread flat out accuse MacBarens/Sutliff of false advertising. That may or may not be libel per se. It has been several decades since I took the Torts course, and I never practiced in that field. I hope Sutliff's lawyers do not become aware of this thread. 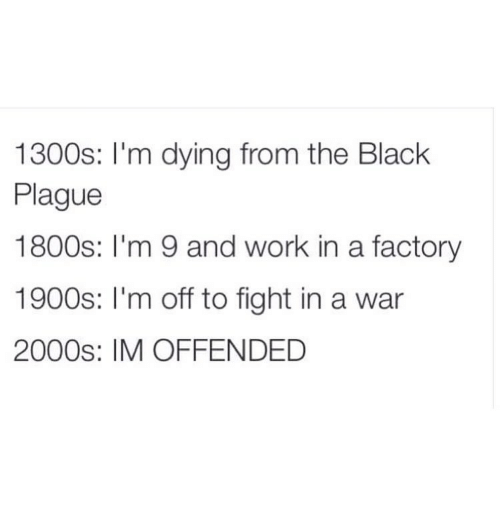 Offended? Not in the least. Disturbed was precisely the feeling I meant to convey, and that is why I used that particular word. Indeed an assertion, I'll not deny that. I am making no disparaging remarks about someone I do not know, Per Jensen (well, I'm not trying to, lol), but I certainly am not naïve enough to think that anyone high up in a corporate structure has honesty and yours and my best interest in mind. They have THEIR best interest in mind, first and foremost, which is to keep their job and continue to get pay raises. That interest of theirs (the overall ultimate interest of maximum profit by the company), sometimes, can lead one to bend the truth. It is Human Nature. Solani is still printing Syrian Latakia as a component of English Luxury Mixture, yet they no longer have any Syrian, it would seem? I would hardly hold other Tobacco Mfgs to a different standard than Solani, or any other random mfg. Palates are indeed overrated, too, as taste is so subjective. I'll bet, though, there are palates out there that most definitely can tell the difference between Syrian and Cypriot. That ain't my palate, though, as mine is more in tune with Virginias, and Latakia tastes like Latakia to me. I'll bet those palates are fewer than people would want to admit (a Latakia enthusiast would prefer to think they can tell the difference). It is the palates that cannot tell the difference, which I would be willing to bet is the majority of pipe smokers, where the money is made in calling Cypriot Syrian. I am NOT saying that is what MacBarren is doing, merely I think it silly to not consider all of that when wondering, "Am I really smoking Syrian Latakia here, as the label says?" I understand your point, and am not really taking any issue with it. Perhaps my perspective comes from the 'once bitten, twice shy' camp as a general rule when evaluating such subjects as 'truthfulness from the mouths of Corporate Executives'. The onus is upon them (guys like Per Jensen) to prove they are selling what they advertise, as there seems to be talk amongst some pipe smokers that they have been lied to recently, to some extent. Certainly with an issue like this (the end of a well, well liked and respected tobacco variety) and as nothing more than keeping their customer base informed for good customer service. There aren't that many places that pipe smokers congregate on the web. Any mfgs that don't spend 30 minutes a week scanning this forum is not utilizing all of their marketing channels, nor expressing much interest in what all ya'll think. We and our cellars are just spreadsheet numbers to them. Again, I am certainly not trying to argue with you or anyone about it. Just rambling on a forum. I have tried HH Syrian Latakia, and it is OK, but it is not even close to the top of my reorder list. What percentage of Syrian Latakia has to be in a blend so it can be labeled Syrian Latakia? Just to be more specific as to why I didn't like it, I found the HH Vintage Syrian to have a heavy ammonia flavor and aroma, either from, or in addition, to the DFK which I don't really like to begin with. and you and I don't mean that much more to Per, I suspect ..
Before you go making pronouncements about Per Jensen, you should make an effort to meet the man in person. He was at the Chicago show last year. I would beg to differ with your baseless assumptions. I have read a lot of posts from people on this thread that have zero debating skills. My palate is likely not refined enough to determine if there is Syrian Lat left in MacBeren's HH Syrian, so I won't weigh in other than to say it would be sad. Maybe a letter campaign to the company will get them to make a statement? LoL Not that I could taste the difference but I've always assumed every Syrian mixture has been cut since it became hard to get. If you asked a rep or blender you may or may not get a straight answer. It wouldn't be the first time in the pipe world a guy told a little fib. The few times I have posted on this forum, was when a problem started to live its own life and getting out of proportions, like the rusty tins I commented on a few years back. In addition to have gotten a pound of HH Vintage Syrian (from Iwan Ries last year, along with poundage of a couple other HHs), I just acquired a last of its kind Per Georg Jensen pipe from Al Pascia in Milan IT. I chose the straight-up shape, 9mm, for its simplicity and grain. An interesting response to be sure. IMHO, once HH Syrian is no longer in production, why not reintroduce HH Highlander? I like that blend. Hello Per, thank you very much for the response! @mike. Unfortunately that will not happen because HH Highland Blend has topflavour, and the HH family is without topflavour. But, I have it in mind for the future, just not under the HH logo. Thank you for weighing in on this topic. I appreciate your candor and am grateful for your dedication to the world of pipe smoking. The direction that some posts took on this thread were pretty telling of the people writing them. I look forward to meeting you at a pipe show in the future. Well this thread just got interesting. Obviously my previous statement about the taste of HH Vintage Syrian was wrong and I offer my apologies to Per Jensen. Well, now that I know it has dark fired I'm certainly going to have to try it! I'm still curious what approx percentage makes it a Syrian mixture. You don't have to answer but I'm asking? According to the Federal Dept Of Pipe Tobacco Quality Control And Existance, "Syrian" blended pipe tobacco must contain at least 6.66% Syrian tobacco. I honestly prefer Cyprian. I know, I am a phillisitein but there is it is. The rarity of anything doesn't necessarily makes it better. Jeff, I find your preference for Cyprian offensive in the extreme. I'm forwarding your post to Managment. My mother can take it...trust me. Maybe Taco Bell's attorneys know. While there are certainly differences, I suspect that most people wouldn't know that difference. Eventually Syrian Latakia will be gone forever, even if it takes the Sun going supernova and evaporating the Earth to do it. I agree 100%! That being said, I did enjoy 3 oaks Syrian, but not enough to fret over the loss of it. I also think that the Syrian they had on the market hasn't fared too well with time and has lost a lot of it's charm. "I know, I am a phillisitein but there is it is." That is one of the great things about this forum, that you occasionally hear from both an insider and someone high up at the forefront of the industry. A lot of people here talk out of both ends and this is often a very good reset on reality. As someone who started out cutting their teeth on Mac Barens in the 1970's, I treasure this and wish them and everyone in this industry many happy returns in our modern age of tobacco hostility. I find it interesting that all of the Syrian Latakias I've been buying are probably from maybe a decade ago? What does that say of their longevity and aging character? That said, there is still Cyprian, and perhaps some of the Syrian formulations can be adapted to use it instead. One never knows the future. no matter what the present, anything is possible in the future. But is it a future we will ever see? Markets have a way of filling voids. It shouldn't matter what % is in it. If you smoked this blend before the 'crisis' was announced, and were happy with it, it should be enough to know that the original recipe remains unchanged. I have about 4 lb jarred up, so I am good to go. I like the flavor, though my untrained palatte is hard pressed to elaborate on why. It is just yum. Here you can read an update about the HH Vintage Syrian discussion, just scroll down. Good job Arno, thanks for the update. So you used your leaping to conclusions to promote your blog after you were corrected. Well played.